Devil’s Third will be hitting North America this holiday season. This brings a firm confirmation after months of doubt since Nintendo of America hasn’t mentioned the game since last year’s E3, yet Nintendo of Europe, Australia and Japan are all prepping for its launch in August. The game will also hit PC in September in a free-to-play, multiplayer-only form. 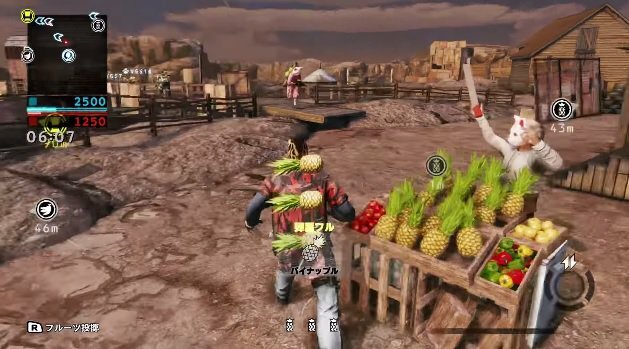 Both versions will also have microtransactions where players can buy Golden Eggs that’ll allow you to snag extra currency or weapons for the online modes: Deathmatch, Cross Fight and Carnival (which has teams fighting over fruit). The Wii U game will support Off-TV Play, Pro Controller Support and USB keyboards for text chat. There is no voice chat because series creator Tomonobu Itagaki stated they used all the bandwidth to allow a fluid 16-player mode. Itagaki also recommends the Pro Controller as the primary controller. Nintendo’s radio silence over Devil’s Third was probably the best thing to happen to it. The game had zero hype over it, but the controversy kind of lit a spark of interest. It’s similar to what we saw with games like Xenoblade Chronicles and Last Story, who’s U.S. releases ended up topping sales charts in April 2012 and became XSEED’s most popular game respectfully.